Last week before Vegas I spent a few days in St.Louis visiting my dad’s fam for my cousin’s law school graduation. 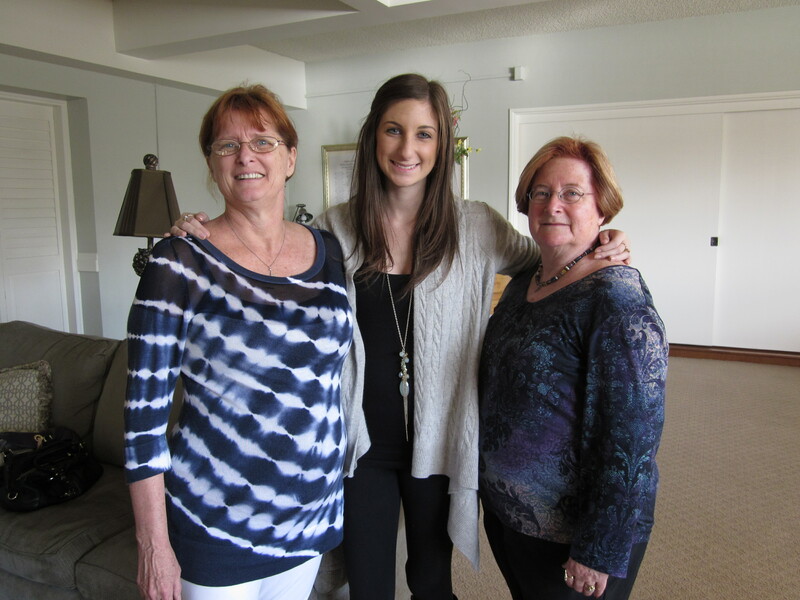 I loved getting to see everyone and spend time with them which I hadn’t been able to do in far too long! I also finally uploaded pics from my mom’s camera to my computer (my digital camera was stolen along with my purse a few weeks ago…) and found some cute ones from mom’s weekend when my aunt came to visit. Well that’s about it for now. In 3 days I move in to my new apartment in L.A. to start my internship at a major network!! It’s hard to believe that just last weekend I was in Vegas with 6 of my beautiful pledge sisters. It was a whirlwind weekend and I had the best time playing and exploring. I enjoyed it so much we’re already planning to go back for labor day weekend! I met up with everyone late ish on Friday at our hotel, Paris, (great location right in the middle of the strip and adequate amenities) after spending a few days in St.Louis with the fam. We had some celebratory drinks and starting getting ready to hit the town. 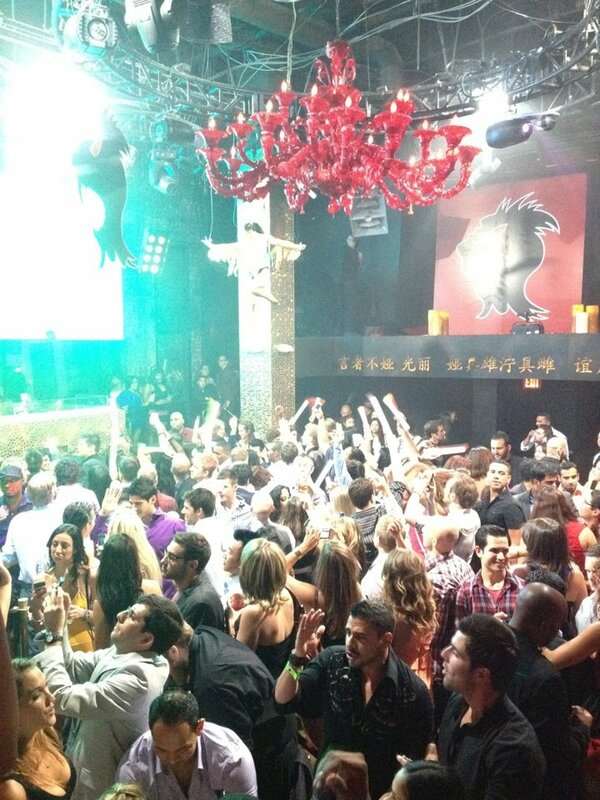 For our first night, we decided to go to TAO in the Venetian. We were able to get in no line, no cover, and each received an open bar wristband for the night and a VIP table! We had so much fun dancing the night away, making new friends, and wandering the strip taking in all the action. On Saturday, we enjoyed sleeping in a bit and then headed back to the Venetian for a pool party at Tao Beach. We spent the whole day hanging out in a cabana enjoying Benny Benassi dj about 20 feet away from us. Great drinks, company, and entertainment! Saturday night after recovering from the day, we went out to Marquee at the Cosmopolitan. (No pics… sorry!) After some dancing, we headed to the Bellagio to gamble a little before heading home the next day. I even ended up being luckier than usual at blackjack. We finally stumbled back to our room around 6:30am to sleep for a few hours before we packed up our room and said our goodbyes for the summer. My sisters had an early ish flight, and my evening flight ended up getting delayed an additional 4 hours (don’t even get me started) so I spent Sunday by myself at the Paris pool reading and tanning. Life is tough, right? Unfortunately we didn’t have time to see any shows while we were there, but I definitely made mental notes for next time. Have you ever been to Las Vegas? What are your must-dos when in town? What shows/clubs/restaurants do you recommend? I’m heading back in a few months and I would love suggestions! P.S… I officially move to Los Angeles in 6 days for a summer internship at a major cable network… AHHH!!! Wow, the days have really gotten away from me! After a whirlwind of travel to St.Louis for a family event and Las Vegas for a much needed girl’s weekend, I’m back in Austin for 10 days before I MOVE TO LA FOR MY DREAM INTERNSHIP!!! But more on all of those things later. As promised, here are a few more ideas of the perfect graduation gifts for girls that will leave you with plenty of dough to spend on other things! You can never go wrong with jewelry, and these Kate Spade rope knot earrings are a timeless staple she will be able to wear for a multitude of occasions! $48. Any young lady moving in to her own place is going to have to learn how to cook. And at least with a Vera Bradley apron you can test out new recipes in style! $28. Professional quality makeup brushes are a little indulgence that makes a huge difference. 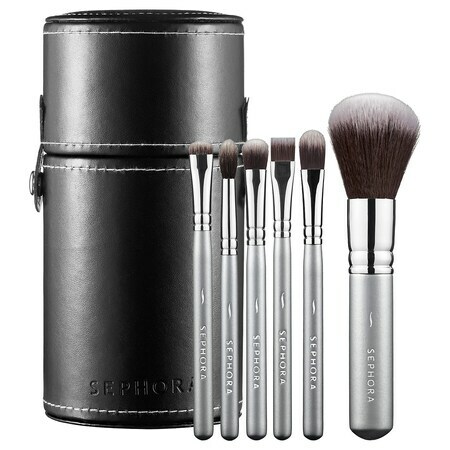 I love that this set from Sephora comes in a travel case and are just the perfect size, $48. Watches are a hot accessory right now, and Betsey Johnson makes some really fun ones that are way more affordable than some of the others out there. This sassy leopard print one is only $65! 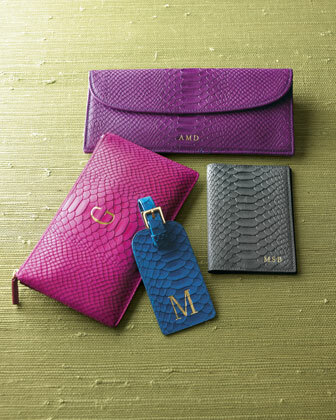 If you know a grad who’s planning on traveling the world over the summer, a nice monogrammed leather luggage tag ($40) or passport cover ($68) from Graphic Image might be the perfect vacation accessory! I have so many sorority sisters and high school friends graduating in the next few weeks. It’s a bittersweet time for goodbyes, but I know each of them is going on to something wonderful. Here are my top picks for grad gifts for the girls in your life that won’t break the bank! This Marc by Marc Jacobs pouch makes the perfect holder for all of your special jewelry, and doubles as a statement making clutch! $72. A big girl job calls for a big girl wallet, and this Kate Spade Darla wallet fits the bill. Not to mention, it’s only $72 and comes in every color from hot pink to fire engine red to gold! Chances are your grad will be getting a new ipod or digital camera, so why not get them an adorable Lilly Pulitzer case for it? At only $15, it’s not only practical but a steal! This Diane von Furstenberg iPhone case is proper enough for the office but still fun, plus it’s the perfect inspirational quote for getting adjusted to life in the real world, $28. An iPad or laptop sleeve is the perfect present for a girl who’s going to need to liven up a new office setting. I love the colors and pattern of this Jonathan Adler one, $28. I’ll be back later this week with some more great ideas that will leave enough money in your pocket to buy for everyone on your grad list! What’s your go to gift for graduation? Did you have a favorite gift you received? Well finals (and junior year) are finally over, and Pam and Bruce came out to play for the weekend! We’re spending four days at the Omni National Resort enjoying lots of pool time, pina coladas, wonderful food, and a few spa indulgences. This afternoon we took a brief journey to campus for my Phi Beta Kappa initiation, but other than that it’s all much needed r&r. Here are some of my can’t-live-without essentials for a weekend away from it all. You can’t go wrong with classic Ray Ban aviators. The polarized lenses are a must for shielding eyes from the sun, and they go with everything. This pair is a steal from Zappos at under $100! Of course you’ll need a cute tote bag for carrying around all of your magazines and sunscreen. This striped number (also from F21) is affordable and easy to clean too! 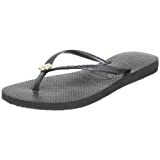 Simple Havaiana flip flops are a MUST. They’re durable, comfortable, easy to rinse off, and the little touch of bling is just right for the pool. I love mine! Aside from my trusty SPF 100 (sorry I’m not sorry, y’all) those are my main go-to’s for the resort or a day out to the beach! What do you have to have for lounging in the sun? Did I miss anything? Oh. Em. Gee. Please tell me you can envision this with a crisp white Ralph Lauren button down and a neutral ballet flat? I think I know what my first internship attire purchase is going to be!! Sequin Embellished Mini Skirt from Express, only $59.90!! I’m ALIVE!! Barely. But tomorrow is the last school day of the semester, then I just have 2 finals and I’m outta here for the summer. So far my summer plans include visiting the fam in St.Louis, having a girls’ weekend in Vegas, hitting Austin for 2 weeks, and then a fabulous summer internship in scripted series development in Los Angeles at a famous tv network that may or may not rhyme with “slifestime.” You’re smart, you can figure it out. Meanwhile, I haven’t had loads of time to think about fashion between all the interviews and the tonsil infections and the sorority events, but I’ve been obsessing over this gorgeous Kate Spade bracelet that my grandlittle gave me for my 21st.